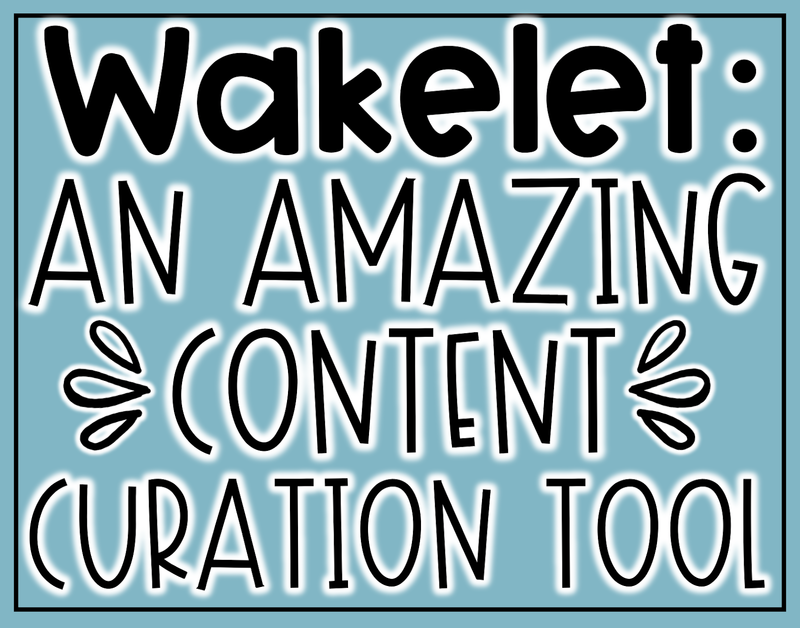 Wakelet: An Amazing Content Curation Tool | The Techie Teacher® . If you haven't heard of Wakelet, then you need to stop what you are doing and check out this amazing content curation tool that has made a dramatic entrance into the ed tech world in the last year or so. Back in January I jumped on a Hangout with James from Wakelet and was blown away with this tool. I had heard some great things from other educators but just hadn't taken the time to dive in. 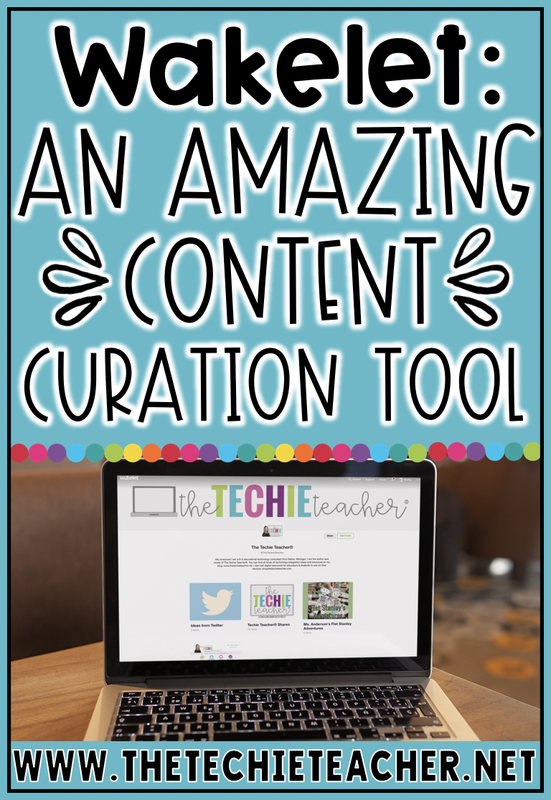 I was so excited to start curating all of the links and resources I was running across, especially saving tweets to a collection by using Wakelet's awesome Chrome extension. James explained how teachers were using this with students and my mind was blown🤯. Not only are students using Wakelet to curate all kinds of information, they are also using it as a digital portfolio! IMPORTANT: Users must be 13+ to create an account. However, teachers can set up a collection for younger students under their teacher account. It is very easy and quick to do! There are so many wonderful blog posts out there already written about Wakelet. Just Google "Using Wakelet in the Classroom" to read about all of the different ideas and discover great tutorials. A good starting point to learn more about Wakelet in education is THIS Wakelet PD link. Definitely check it out to get an idea of how Wakelet visually organizes information and how you can share your collections as well as collaborate with others. Perhaps one of the most creative ways I have seen Wakelet used in the elementary classroom is an idea created by Sean Forde. He added a QR code to Flat Stanley that takes users to a Wakelet collection in which they can add pictures and videos. My heart skipped a beat when I saw people tweeting about Sean's Wakelet Stanley. What an INCREDIBLE way to track Flat Stanley's adventures in real time! He set up THIS Wakelet and is asking people from all around the world to print his Flat Stanley, snap a picture and add it to his collection. LOVE IT!! Like many educators all over the world, I always loved doing the Flat Stanley project with my second graders. After reading the book, students would write a letter to someone in another state/country, usually a friend or family member, and send a paper Stanley for them to take around and snap pictures at special landmarks in their area. They would return Flat Stanley along with pictures, sometimes a scrapbook and even souvenirs! 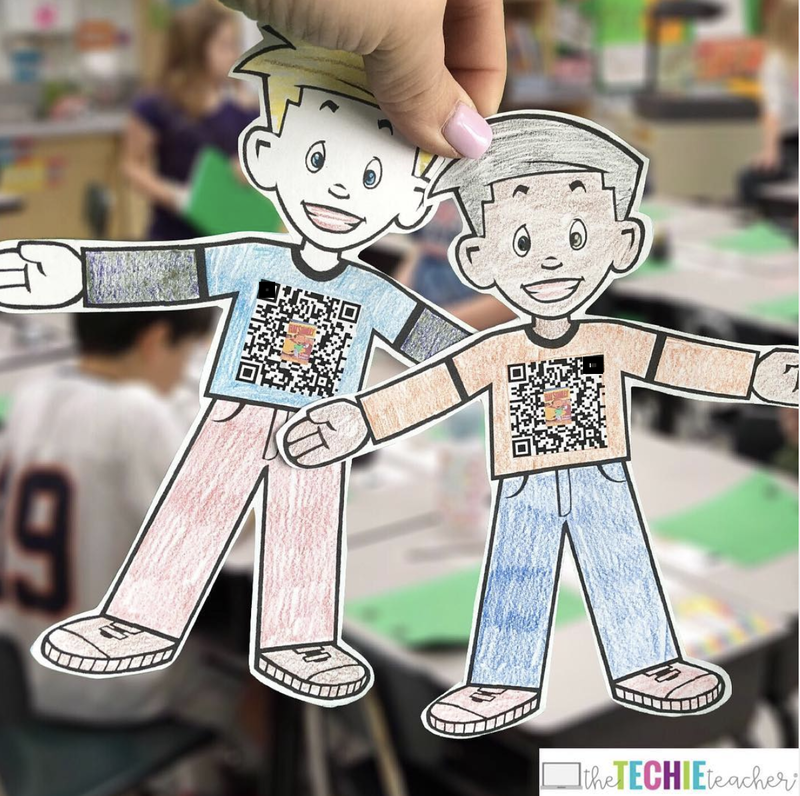 A few weeks ago I helped a 2nd grade teacher set up her own Flat Stanley Wakelet collection and we added the QR code to a Flat Stanley printout that I found from THIS site. *I'm loving Flat Stanley's makeover that was prompted by his 50th birthday a few years ago😉*. Every morning students will be able to pull up their class' Stanley Wakelet and check in to see what he has been up to! Add a cover image (optional), a title and a description of the project (optional). Save and exit. Click the lock icon next to your title and change the share settings to Public. Save. Click Via Shareable Link and QR Code. You can save the QR Code that is already generated. However, I wanted to add the image of the Flat Stanley book cover to the middle of the QR Code so I copied the link that was generated and used QR Monkey to create the QR Code with book image in the middle. *There are a lot of different ways you could complete this step. Here is what I did. * I took a screenshot from the Flat Stanley PDF I downloaded from HERE and added the screenshot to a PowerPoint Slide (you could use any program for this!). Then I pulled in the QR code I created in QR Monkey and layered it on top of Flat Stanley's t-shirt. Print, copy and pass out for students to decorate! I truly think Sean Forde's #StanleyWakelet is brilliant!